New Layers And Old Favorites Made Easy. 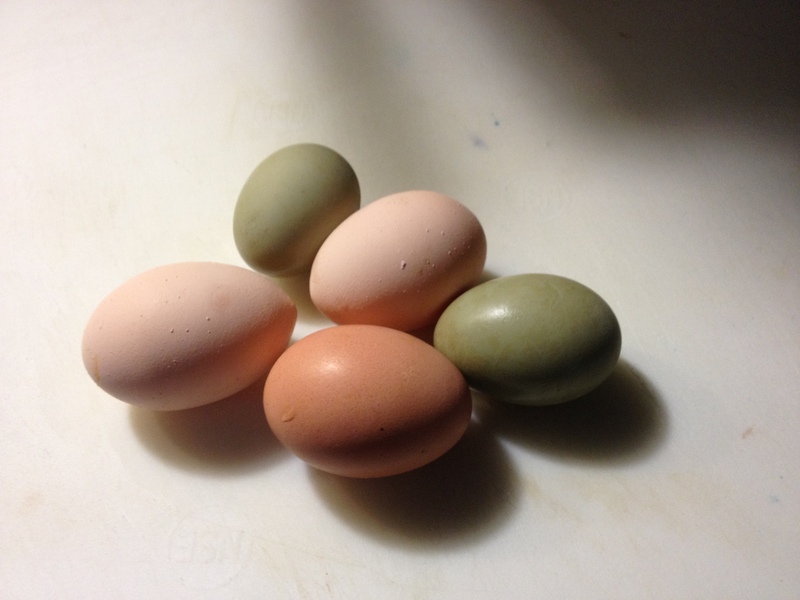 After letting the larger flock out this morning I found two little green gems tucked in the corner. Judging by the size and location of these little jewels I believe them to be the first eggs of one of the new flock members! The older ladies have a monopoly on the laying boxes so it is not a surprise these first few occurrences ended up elsewhere. I LOVE the color and I hope that her clutch mates will lay a similar (or prettier) shells. 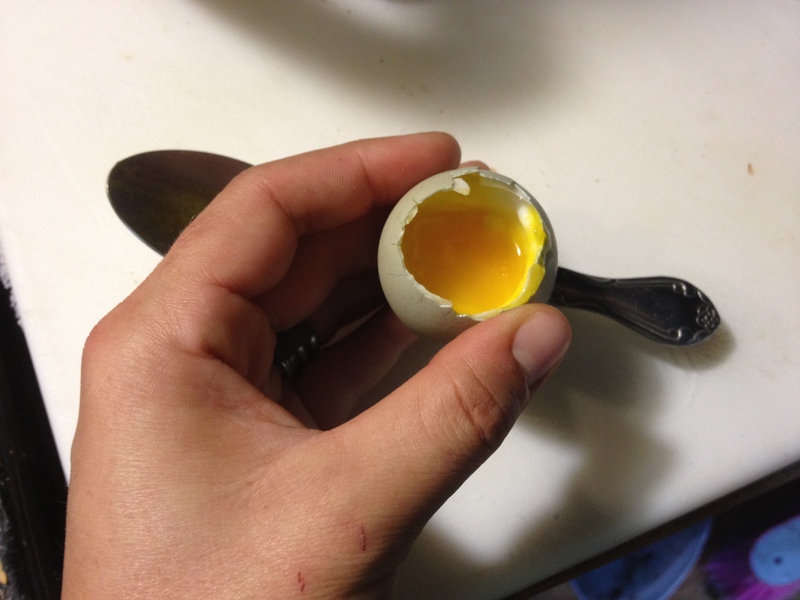 I ate them for breakfast, soft boiled they were amazing. As the weather chills a little more each day the homestead is shifting toward the quite stillness winter will bring. 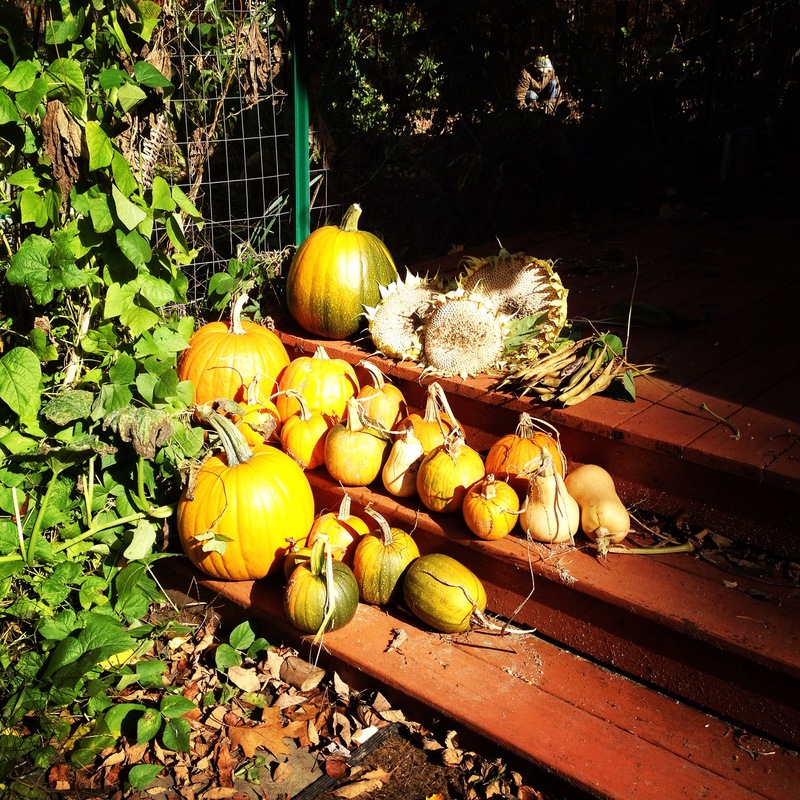 The pumpkins are wrapping up along with many other crops. A lot of our tomatoes are probably not going to ripen because it is just too cold. 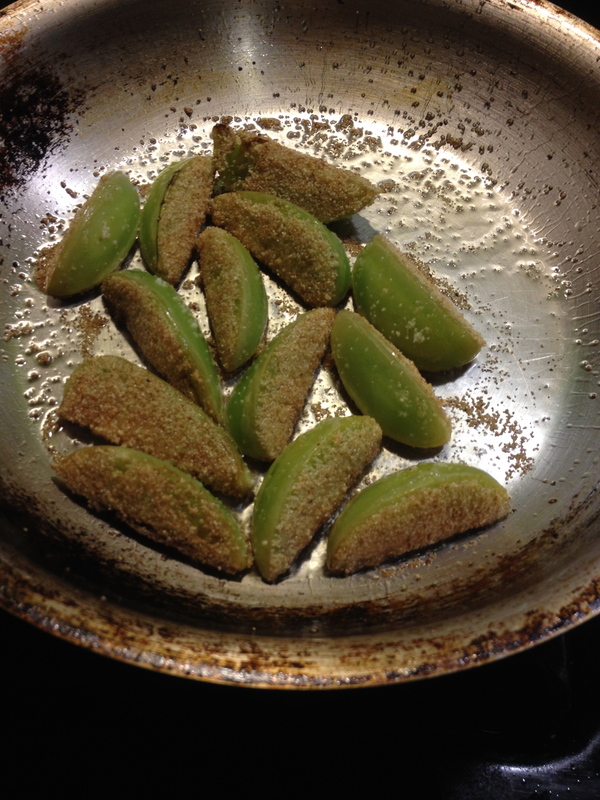 This leaves us with a lot of green tomatoes so I decided to try a simple 4 ingredient fried green tomato method. The most important part of this procedure is to cut the toms into wedges and salt them liberally. The salt draws out the natural sugars and moisture and makes the next step possible. 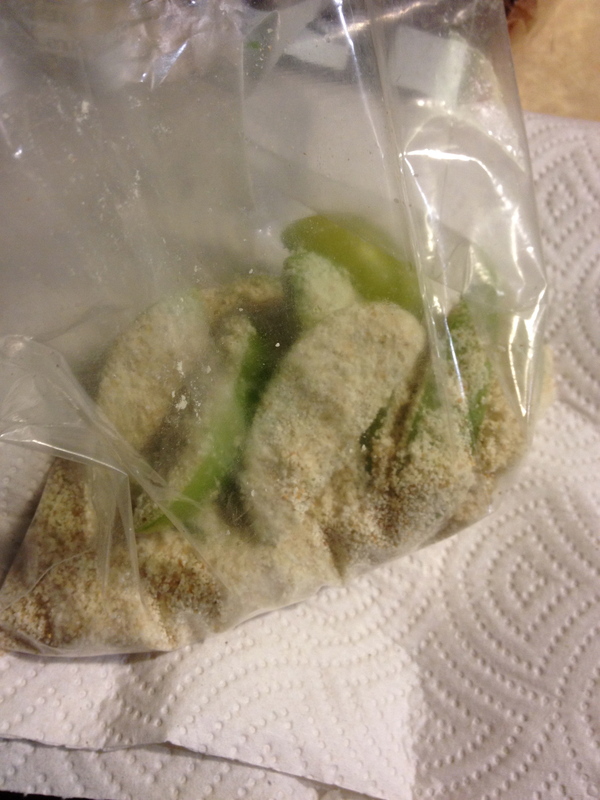 I have been using cream of wheat for the coating. After the wedges have sat for 10 minutes you can toss everything in a bag and shake your booty/tomatoes. I shake them then start my oil and shake some more when the oil is ready. I use olive oil and get it good and hot, to the ‘smoke point’ (when you can see a faint smoke coming off the oil.) Then drop them in. Cook until they are a deep gold on either side, only turn them once. Let them cool on a paper towel, place with the cut and breaded sides up so that as they cool they do not steam your deliciously crispy crust. Serve them with whatever sauce you like or just salt and pepper. I think I have eaten a dozen green tomatoes in the past few days and I probably need to start eating something else. Oh ya! Dangit though, I don’t have any available for months to come.